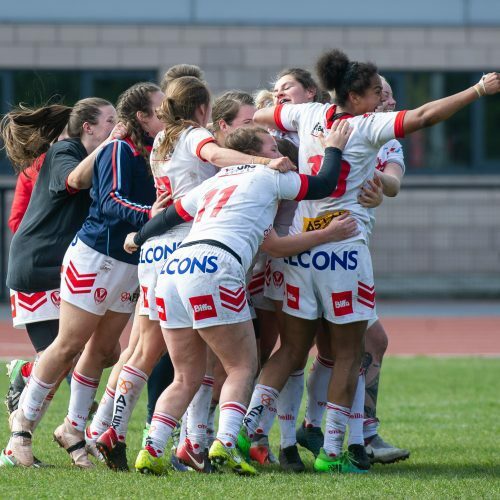 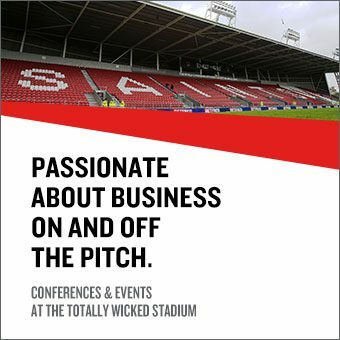 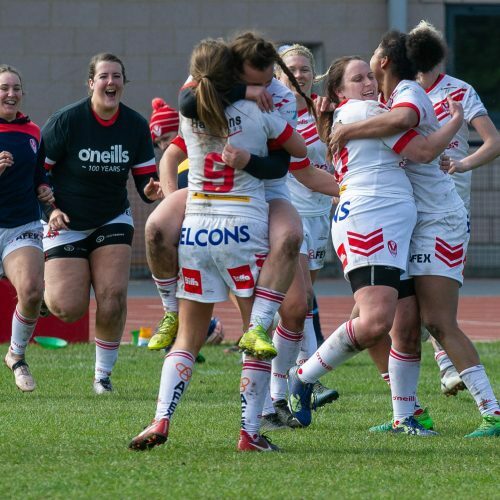 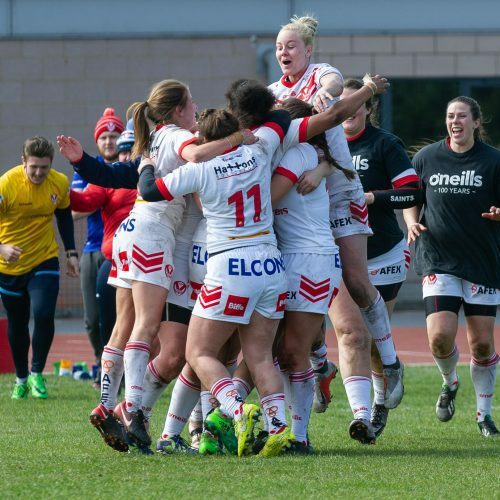 Saints Women win derby opener | St.Helens R.F.C. 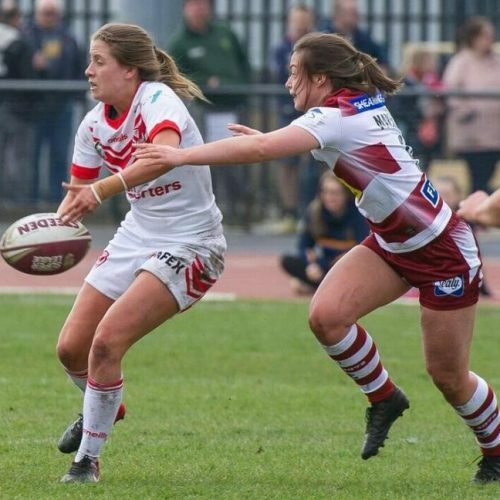 Saints Women triumphed in the derby after a late Faye Gaskin penalty goal resulted in a 6-4 win over rivals Wigan Warriors Women at Robin Park Arena on Sunday. 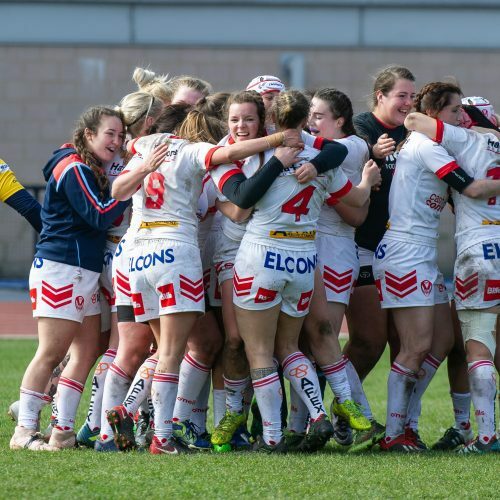 The hosts made the better start to the match, keeping St.Helens pinned back before Gemma Walsh slotted a kick to the corner for Alison Burrows to collect and get the ball down for 4-0 Wigan. 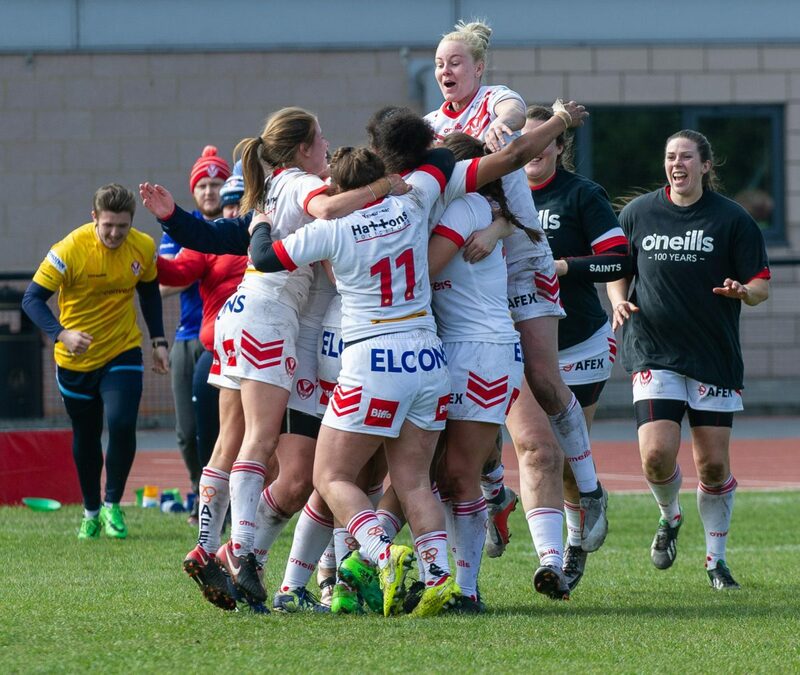 Saints responded though after 22 minutes, creating an overlap on the left edge for Leah Burke to go over, Gaskin missing the extras meaning it was all square at 4-4. 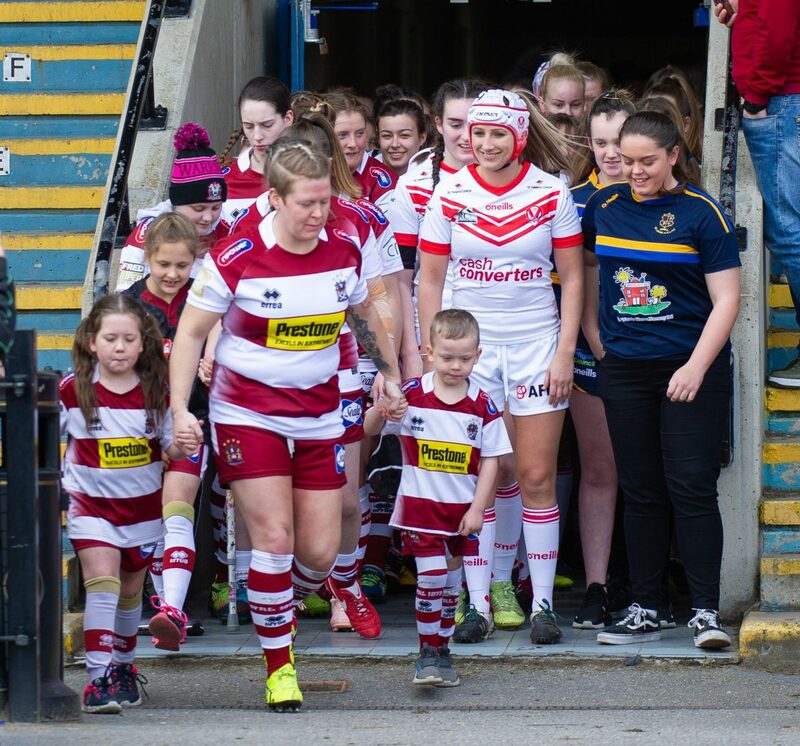 The Warriors started the second half strongly, this time Megan Grace-Holding making good work on the left edge to feed Becky Greenfield, but the full-back couldn’t ground it cleanly and the referee chalked the effort off. 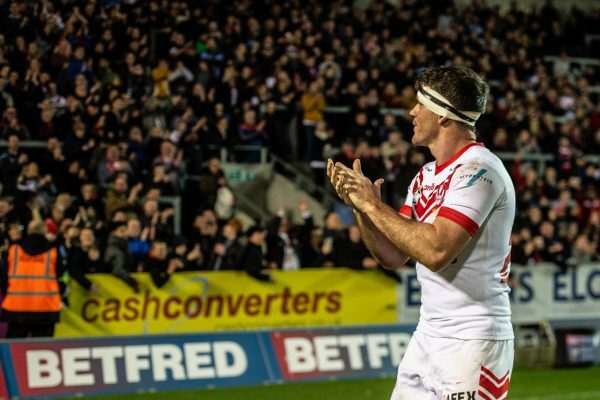 Saints responded again though and went upfield to test the Warriors defence, with back to back penalties. 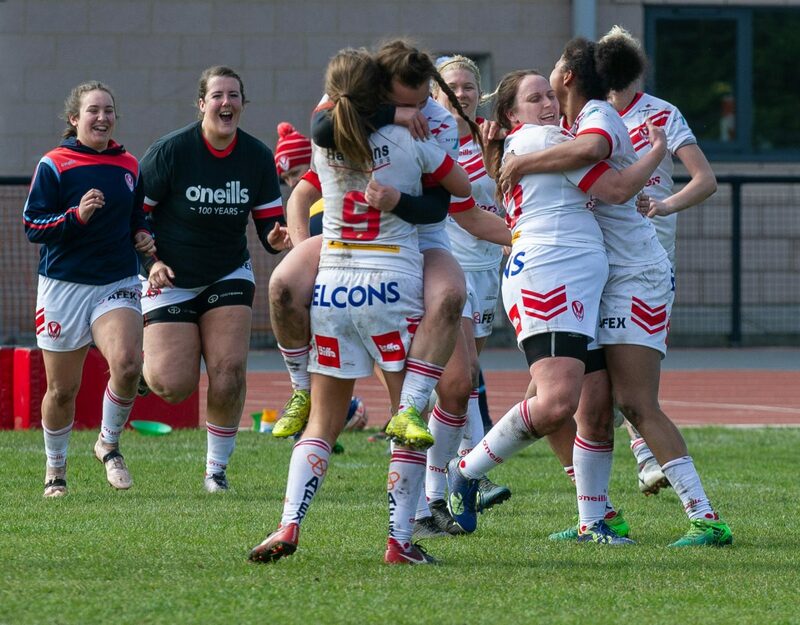 Scramble defence from Wigan saw St.Helens forced into touch just short of the try line and it remained 4-4. 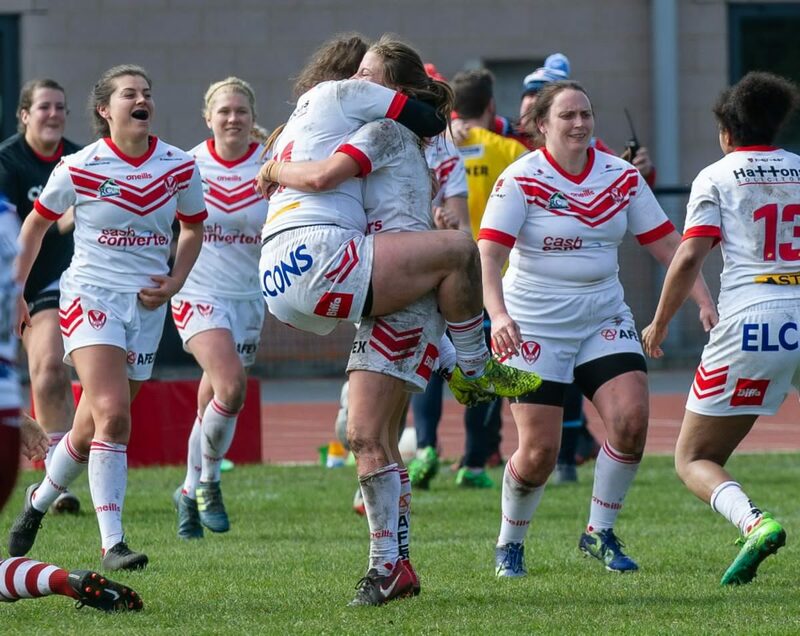 Saints had a golden opportunity to take the lead in the 52nd minute, as they ran through to leave Greenfield one on one but the pass to Burke was too heavy and the ball went dead. 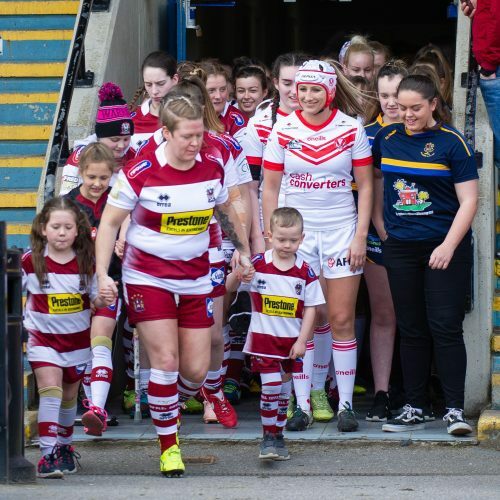 The Warriors saw a similar story moments later, but once again Leah Burke was put into touch just short. 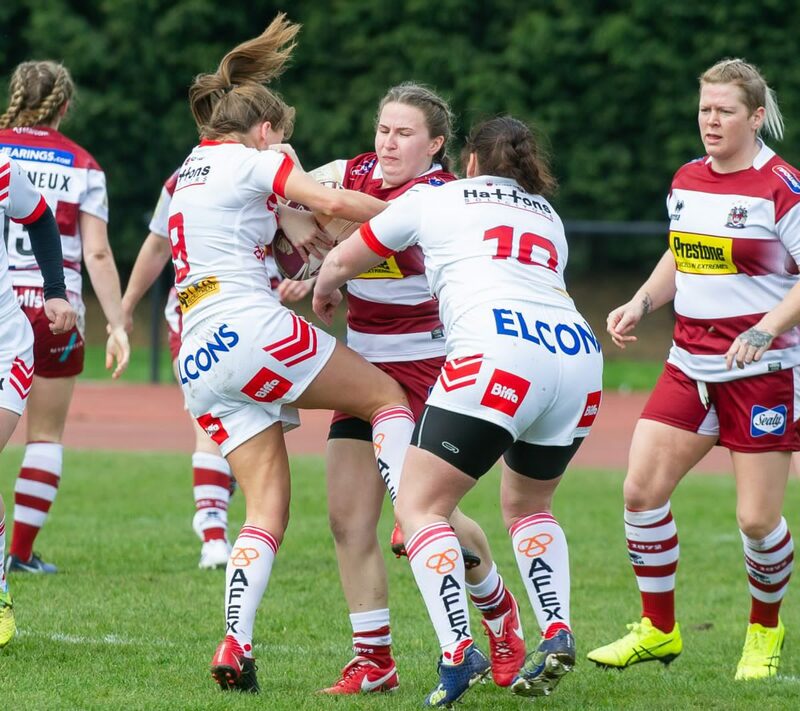 Wigan had an opportunity to go ahead in the 64th minute, Megan Grace-Holding on the left edge going inches away but the 16-year old was wrapped up by the defence for the turnover. 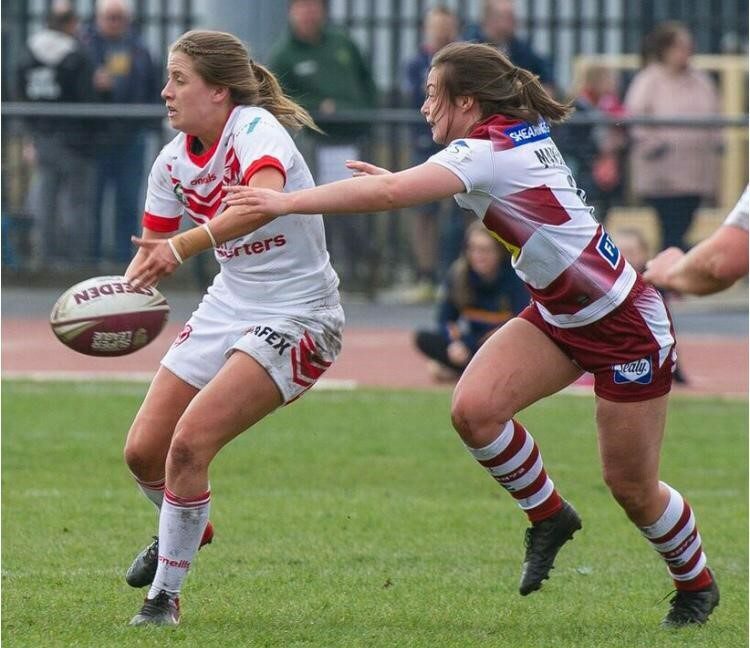 Saints headed upfield in the follow-up before Michelle Davis was sent to the sin bin for an infringement. 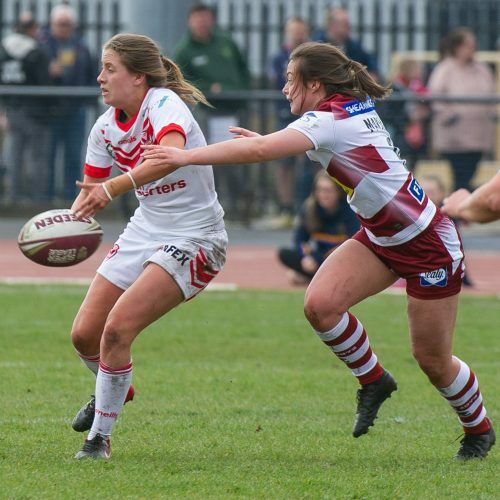 Saints opted to kick for goal from 35m out, but new signing Beth Stott was off target. 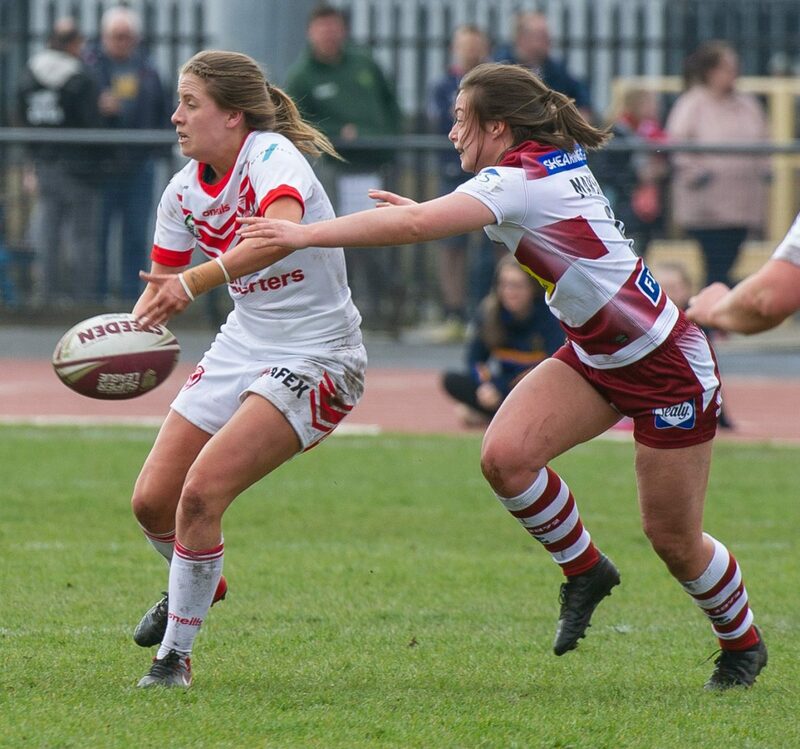 But Saints got our reward for our persistent pressure, as Sarah Harrison was sent to the sin bin for obstructing the play the ball. 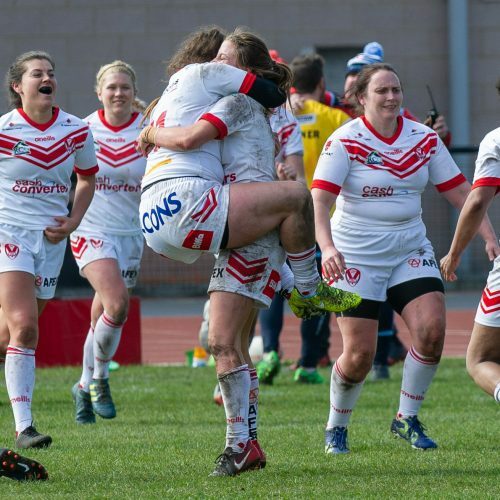 The penalty meant Saints could take advantage, and we did as Gaskin won the derby with a penalty goal late on. 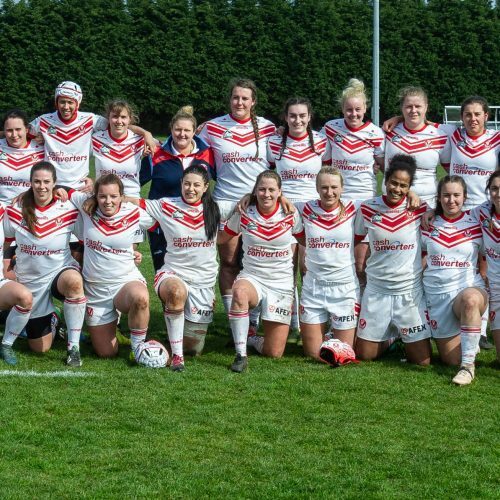 St Helens Women: Jodie Cunningham, Leah Burke, Naomi Williams, Rebecca Avenell, Zoe Harris, Faye Gaskin, Beth Stott, Vicky Whitfield, Tara Jones, Dawn Taylor, Pip Birchall, Emily Rudge, Chantelle Crowl.